Some very friendly and furry faces will be greeting passengers at TTC stations throughout the city this week. The Lions Foundation of Canada will be popping up at TTC stations to promote the upcoming Pet Valu Walk for Dog Guides from April 15 through to the 18. The upcoming Pet Valu Walk for Dog Guides is taking place on May 26 in over 300 communities across Canada, including approximately 10 in the GTA. To find a walk near you please visit walkfordogguides.com. 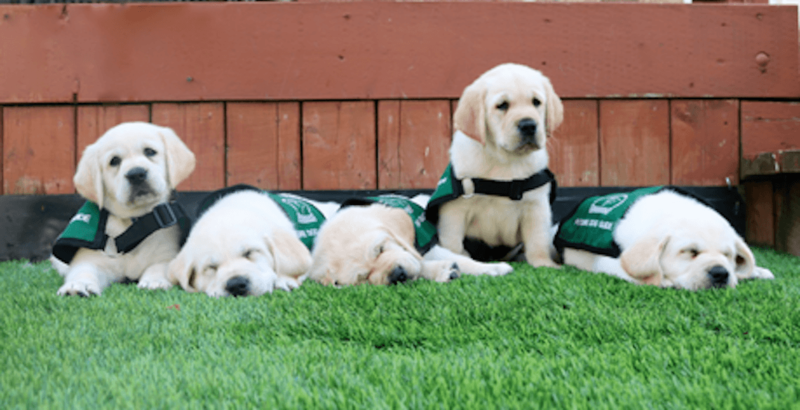 The annual walk is a fundraising initiative for Lions Foundation of Canada Dog Guides that helps to provide life-changing service dogs to Canadians with physical and medical disabilities at no cost, according to event organizers. Last year alone, the foundation placed 203 Dog Guides with Canadians from coast-to-coast in seven different programs (Canine Vision, Hearing, Service, Seizure Response, Autism Assistance, Diabetic Alert and Support). Since 1985, the Pet Valu Walk for Dog Guides has raised $17 million towards Dog Guide programs.